Next year will be the 60th anniversary of the end of the Korean War. To this day, there are reminders everywhere of a conflict that officially continues. 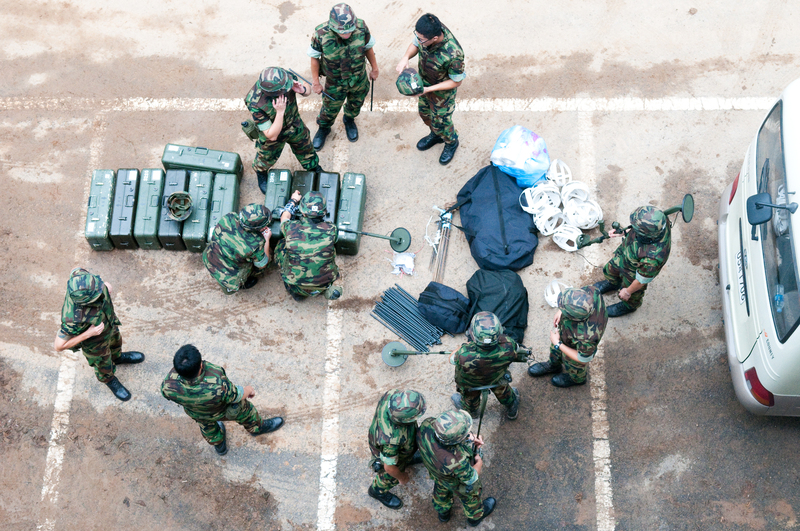 Two years of military service are required which means 20-something men in uniform, fresh out of basic training are a common sight on the streets and subways of Seoul. Sometimes while walking home I would see camouflage painted faces peering out of the bushes at the base of the mountain behind my building. 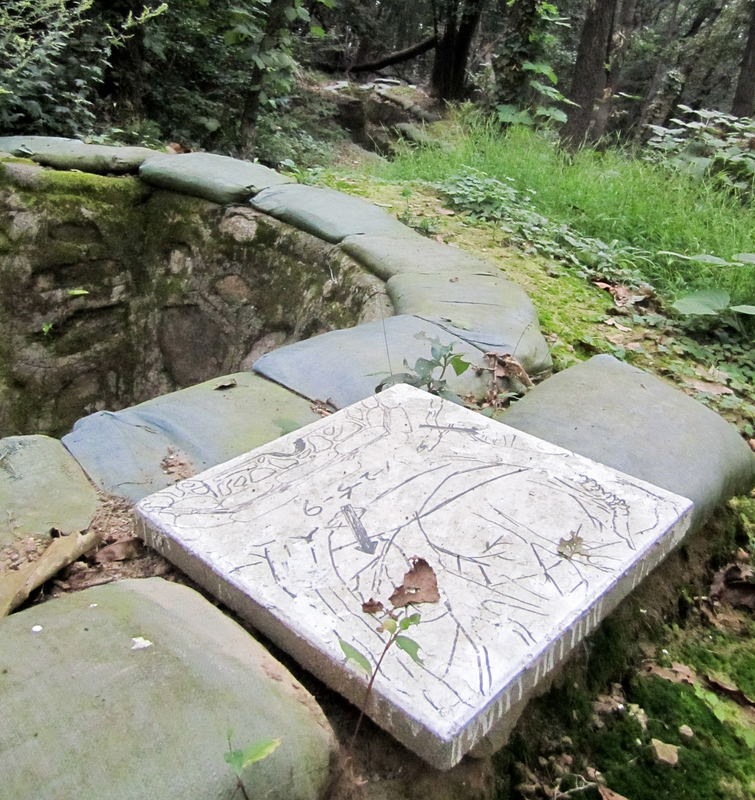 This same mountain was home to a few barbed wire protected areas connected by ribbons of interconnected sandbag trenches punctuated by poured concrete pillboxes. I found these elaborate defenses strange until I realized that these mountains, that I lived at the bottom of, would be the first line of defense south of the Han River. I also learned that the ridge was populated with landmines when I was awoken one morning by minesweepers preparing their equipment outside my window. They were getting ready to move into the area damaged by the mudslide to search for mines that had washed down the mountain. 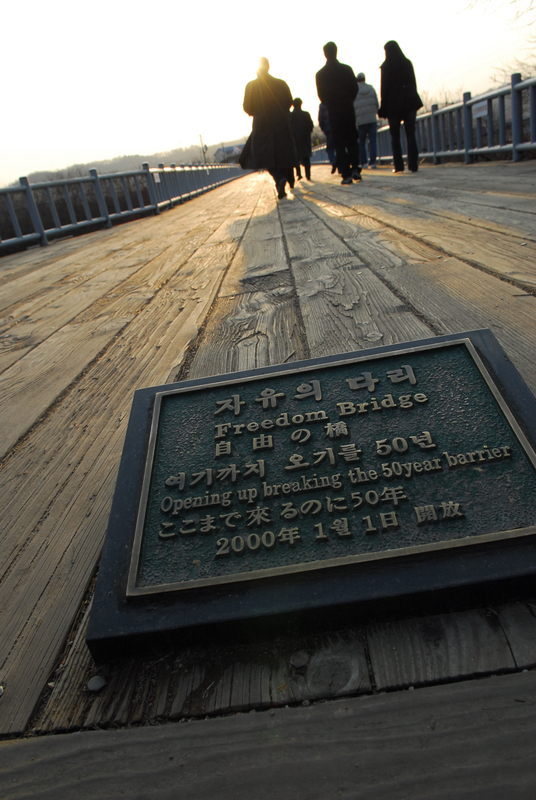 The closest that many people can get to North Korea is a handful of parks including places like the ‘Freedom Bridge’. Many of the adults I know rarely speak about the war, only of sadness for family members lost on the other side of the border. In contrast the students that I interacted with daily, when their focus shifted to international issues, seemed far more concerned about their Japanese neighbors than those to the north. It seems it’s just a matter of perspective though. My American friends regularly asked if I was worried about North Korean invasion and just as often, my Korean friends inquired if my family was safe from swine flu. The sunset image above was captured on a staff trip to a memorial park near the border. 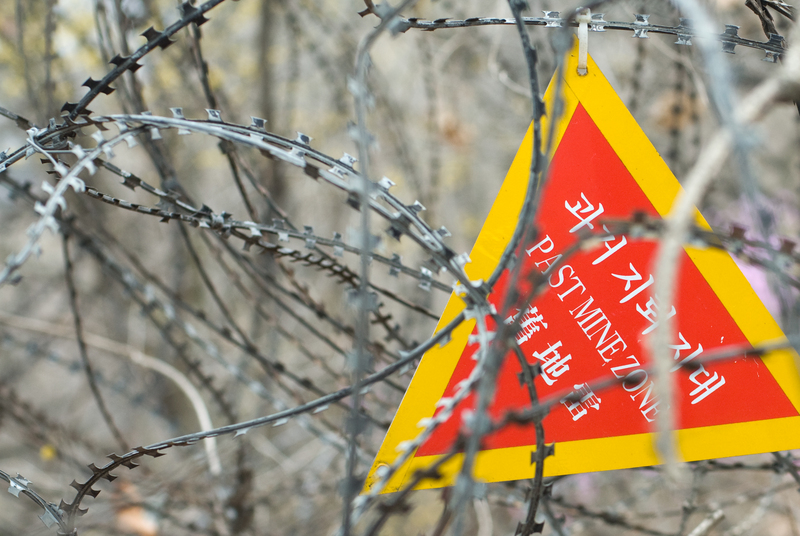 It’s as close as many South Koreans can get to lost friends and relatives. Because of this the fence topped with barbed wire is covered with notes and letters to them. I shot this image 55mm, 1/1250 sec. at f22, and bracketed by one stop. I took a spot meter reading off of the Korean flag as it was a good middle value between the red sky and dark fence and papers. Reblogged this on Its All Smiles 😀. Gorgeous images here. Living in Korea it was always indeed a bit strange that way reminders of the Korean War, and the division of the country, were constantly here, there and everywhere, but essentially just became part of the background, so that after a short while, you barely noticed or thought about it. 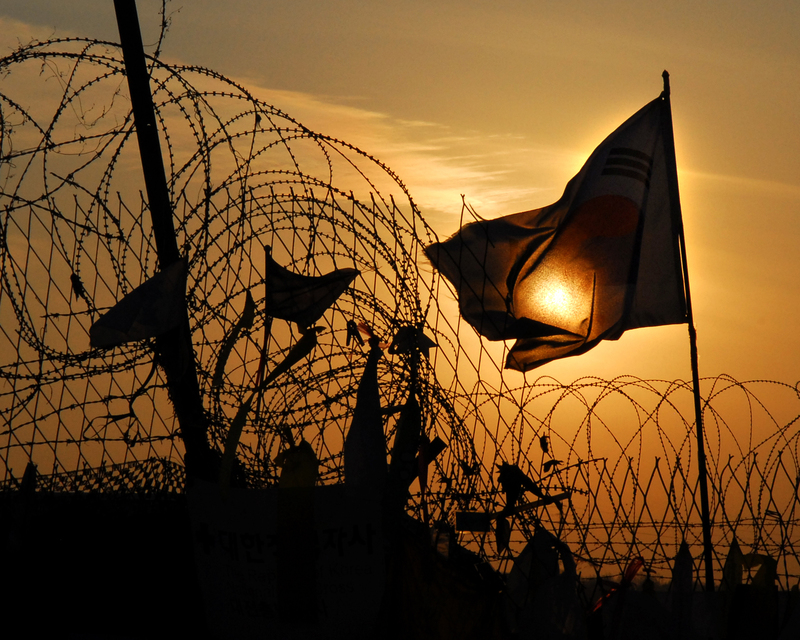 These are wonderful images, especially the sun/flag/barbed wire.